Although there are no openly gay football players playing in the NFL, there are seven openly gay or bisexual athletes performing at the college level. 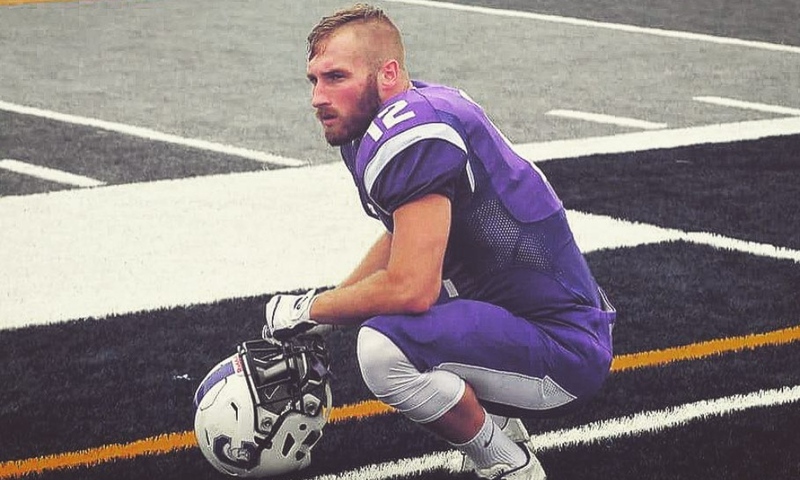 One of the seven is wide receiver Wyatt Pertuset who plays for Capital University, a Division III school near Columbus, Ohio. During an episode of ESPN’s Outside the Lines on September 21, sportscaster Bob Ley praised Pertuset for “the first touchdown scored by an openly gay college football player in any division.” The shout out occurred during the show’s “Underreported Story of the Week” segment. I can’t even describe the feeling. After 2 years of not playing the sport i love, multiple surgeries and countless hours of therapy and rehab, i finally got back to full health and accomplished one of my biggest goals for my collegiate career. One of/ if not the first openly gay football player in The NCAA to ever score a touchdown. So much hard work and emotion going into that 10 second play, I finally got to make one of my dreams come true. The best part about it is…I’m just getting started. Thankful for my teammates who continue to give me constant support And pushing me to be the best i can be. This game isn’t for nice people. Don’t take it personal.